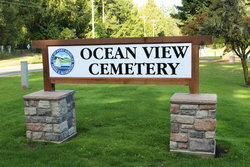 Ocean View Cemetery is owned and operated by the City of Port Angeles Parks & Recreation Department. The land for Ocean View Cemetery was acquired from the Federal Government largely through the efforts of Matilda C. (Dudley) Cooper. Mrs. Cooper started a petition in the early 1890s to secure land for the City to use as a cemetery. By 1894, the 54-acre cemetery was ready for business. 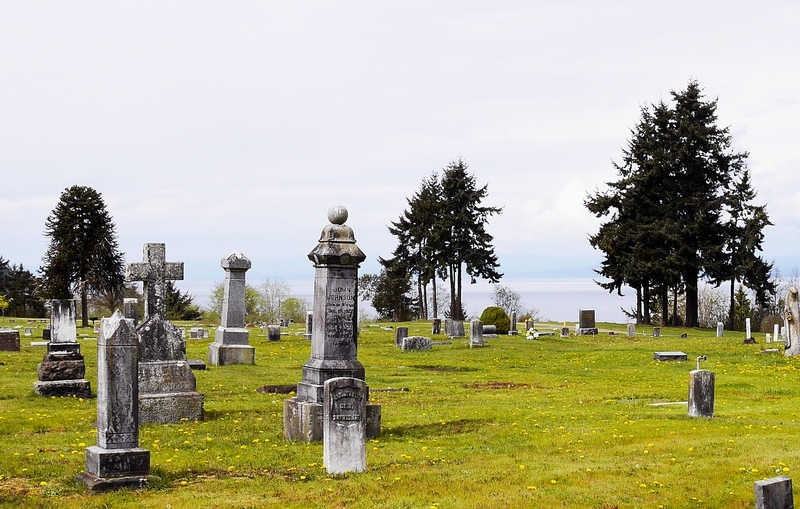 This is a large cemetery, on a bluff overlooking the Strait of Juan Fuca. The first cemetery in Port Angeles was established at Eighth and Oak Streets. Later this pioneer cemetery was moved to Ocean View Cemetery, west of Port Angeles.